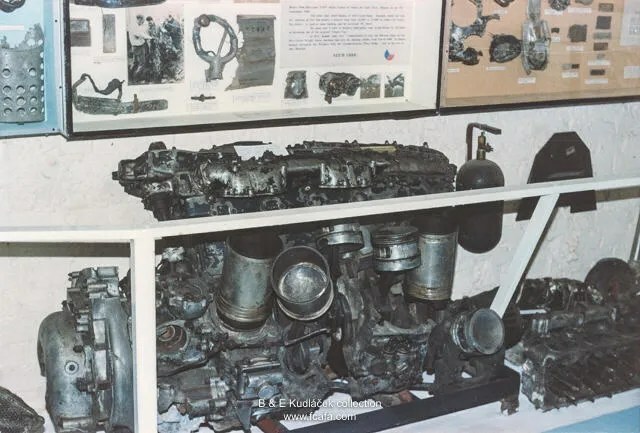 Remains of Sgt Josef Koukal, 310 Sqn, Hurricane engine on display in the Museum. Ian Willoughby reporter with Czech Radio, Prague, visits the Kent Battle of Britain Museum, to learn more about the 88 Czechoslovak pilots who fought in that battle. The interview with David Brocklehurst, the museum Chairman and curator is here. This entry was posted in 310 Sqd, 311 Sqd, Battle of Britain, Museum. Bookmark the permalink.